Wilhelm Meister’s Apprenticeship is a canonical work of world literature, cited as the most important achievement of the German Bildungsroman. But the novel continues to pose interpretive problems to historians of literature and Goethe scholars. Many factors are responsible for this. First of all, the composition of the novel was a long and complex process. The first version came out in the mid-1780s and its title was Wilhelm Meister’s Theatrical Calling. Before his trip to Italy in 1786 Goethe wrote the first six books, but then he found himself unable to finish the novel and abandoned the project. He returned to it, having already gained international fame, some years after his return from Italy: the book came out in the mid-90s under a new title. It seems that both versions can adequately be described as a Theaterroman, or dramatic novel – a concept usually invoked only in relation to Goethe’s original project, in accordance with its title. 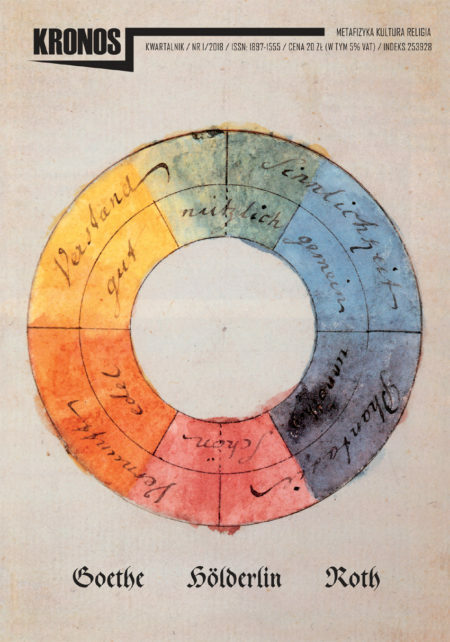 This perspective assumes that although Goethe expanded the intellectual horizon of the novel when he returned to it in the 1790s, he at the same retained its initial peculiar poetics. The relation between the original and final versions can therefore be described in terms of continuity and development – terms closer to Goethe’s thinking at the time than those of revision or revolution. Joseph Roth’s most important novel, Radetzky March, talks about the collapse of a beloved monarchy. Or does it? It is commonly believed that Roth’s description of the decaying empire was sentimental. There is no denying that the world of Habsburgs is described by Roth with much tenderness, but that is not the only feeling. The melancholy obscures certain experiences. There were many authors who chronicled the passing away of the old order. The Great War ended a whole epoch, it brutally transformed the world. But that doomed epoch was not without its faults, its fate was of its own making – such a verdict is no doubt implied in Roth’s novel. Contrary to prevailing opinion Radetzky March cannot be reduced to a simple nostalgia for the past. In fact, it offers a severe judgment on Europe’s metaphysical condition before the war. It is not so much an elegy for monarchy, as an attempt to come to grips with one’s own past. History is an illusion. There is no such thing as a historical process which determines the order of events and the development of values. Rather, history is a theatre in which, century after century, the same play about the immutability of human nature is performed. The actors are the same, even if they wear new costumes and new masks, or appear in a differently arranged circumstances. The meaning of the play remains the same, however. It is a story of the incommensurability of human desires and the actions which they undertake to fulfill those desires. History – if any one meaning can still be ascribed to the word – was, is and will remain a strange mixture of butchery and farce. The annihilation of European Jews was neither a chance occurrence, nor simply the result of antisemitism which is an attitude typical of base and weak people who may be capable of organizing a pogrom, but not wholesale industrial extermination. Shoah was the necessary result of modernizing processes which gradually destroyed all the elements of the old world seen as mere superstition, anachronistic and incapable of being assimilated. In this the Jews of Eastern Europe, because of their implacable attitude towards religion and tradition, were not accidental victims. It became clear that the chosen people were unwilling to negotiate the terms of abandoning the faith of their fathers. They preferred it over the miraculous inventions of modern science or the latest solutions proposed by social scientists. This was bound to provoke the wrath of those who wished to create a world without god, a world in which every choice would, in the end, be of no consequence and every superstition would become acceptable as long as it limited itself to the bounds of popular „culture.” To mourn the destruction of the world of Eastern European Jews is to mourn the loss of truly human values: God, tradition, the memory of the dead, religious passion. Without them, without the Jews, whose tradition made them the guardians of these values, we have been diminished in our essence.